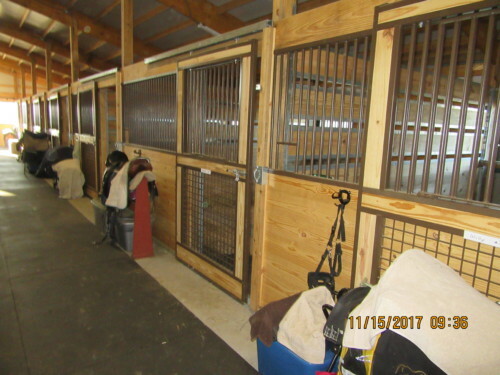 Megan Haygood an d her family already had the land, hay and equipment needed to start a horse boarding, breeding, training and riding facility in Danville. But they knew they needed more in order to start a successful business. Enter Michelle Lemieux, an established equine trainer and manager and you have the makings of a quality small business partnership. The two opened Northern Lights Stable last year after combining Haygood’s resources and Lemieux’s expertise and customer base. “Our business is special as it provides exceptional equine care and twenty-four hour monitoring, highly skilled training and riding instruction, and a regulation-size indoor competition arena,” Haygood said. But even with the combination of resources and skills that Haygood and Lemieux bring to the table, they knew they could use additional help before launching the business. That’s why they contacted Vermont Small Business Development Center (VtSBDC) Area Advisor Ross Hart. “Working with VtSBDC makes you decide if you truly want to start your own business,” Haygood said. “You realize that developing a business plan takes a lot of work. Ross Hart uses a framework to coach you in organizing your goals and resources into a feasible, workable plan. His guidance and support was key in getting the commercial loan for our business,” she said. For more information about VtSBDC and the services provided by area advisors check out www.vtsbdc.org.